Glenn Schwaiger, artist and Full Professor at NMSU/DACC, recently completed a three-month study of Chinese art history, culture, and ceramics in Jingdezhen, China. 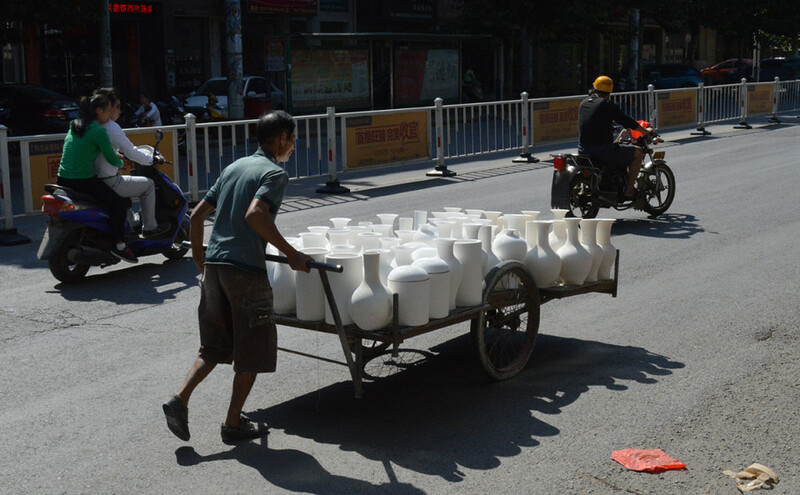 He will present photographic highlights of his travel in China and discusses the unique collaborative working methods of porcelain production in Jingdezhen. Jingdezhen has been a major center for Imperial, domestic, and export porcelain for more than 1000 years. Ceramic artists in Jingdezhen perfected the materials and processes required to produce porcelain during the Song Dynasty (960-1279). Today, skilled craftspeople work in concert to produce a broad range of porcelain objects from simple production wares to large-scale sculptures.